Field of Study is a design and branding consultancy. We concept strategies, establish voice, build amazing things, and solve difficult problems through strategic design thinking. At Field of Study we help organizations codify their ideas, their ethos, and their ambition into appropriate, actionable, and tangible design strategies and assets. We build things both beautiful and effective, with award-winning work that translates into measurable results for our clients. Services offered include: Branding, packaging, website design and development, brand strategy and messaging, spaces, environmental graphics, and signage. 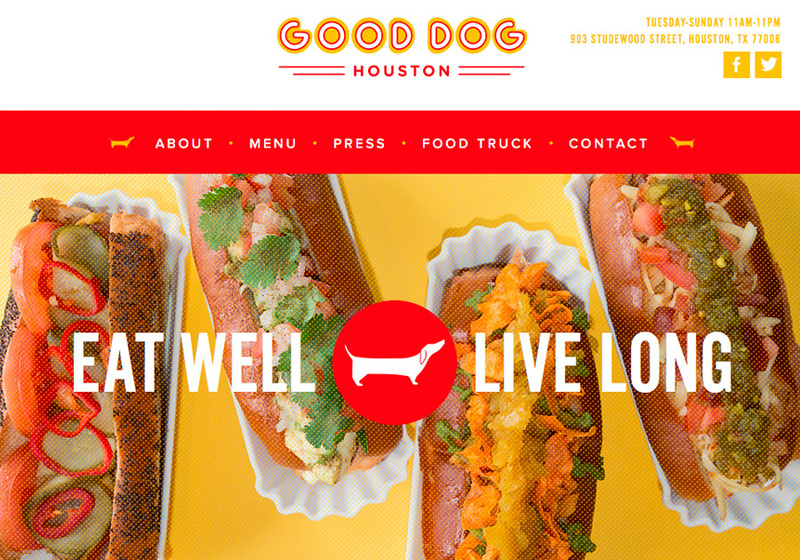 Brand refinement and mobile responsive website design and development, Good Dog Houston.